Cassis is a commune situated east of Marseille in the department of Bouches-du-Rhône in the Provence-Alpes-Côte d'Azur region in southern France. It is a popular tourist destination, famous for its cliffs and the sheltered inlets called calanques. The wines of Cassis are white and rosé, and not to be confused with crème de cassis, a specialty of Burgundy which takes its name from blackcurrants (cassis), not the commune. 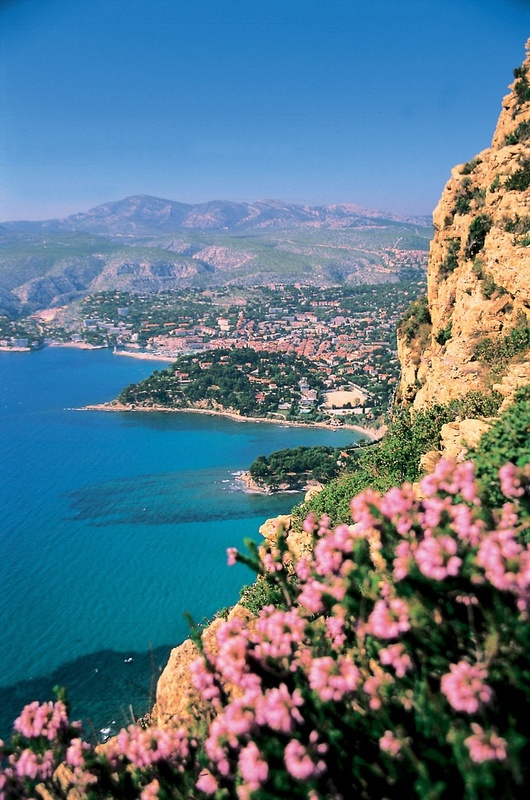 The town is situated on the Mediterranean coast, about 20 km (12.4 mi) east of Marseille. Cap Canaille (394 metres, 1203 feet), between Cassis and La Ciotat ("the civitas") is one of the highest maritime bluffs in Europe, a sailor's landmark for millennia.